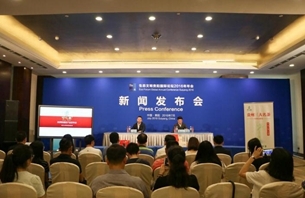 As the hosts of this year’s Eco Forum Global Annual Conference, Guiyang will host the Green and Health Pharmaceutical Industry Expo on July 9 and 10. Companies from Guizhou province are set to make a strong showing at this year’s Eco Forum Global Annual Conference, held in the provincial capital of Guiyang. More than 220 celebrities from the Chinese mainland and Taiwan are expected to attend the Cross Straits Green Forum to be held in Guiyang on July 9. 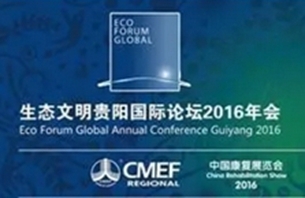 Gui’an New Area in Guizhou province is about to play host to a new area forum as part of the Eco Forum Global Annual Conference which will take place from July 8 to 10. The focus of the world’s efforts to combat climate change will be on Guiyang from July 8 to 10, as the host of Eco Forum Global Annual Conference. Building on the success of last year's event, the 2016 Huangguoshu Forum on Sustainable Tourism and Human Settlements will be held from July 9-10 in this famous scenic area in Guizhou province. 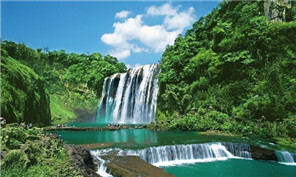 There is much more for tourists to enjoy in Huangguoshu than just its famous series of stunning waterfalls. 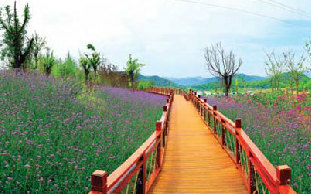 Sites such the Tianxing Bridge, Shitouzhai, Longgong, Dishuitan and Baling River are also definitely worth a visit. As a country laced with rivers and with a topography crumpled into mountains by the collisions of three tectonic plates, China is awash with waterfalls.